I don’t know how we did it, but we did. We wrapped up another year and I’m sitting here in awe of it all. This year was pretty incredible for us, with a lot of exciting things that happened along the way, both personally and on the blog. 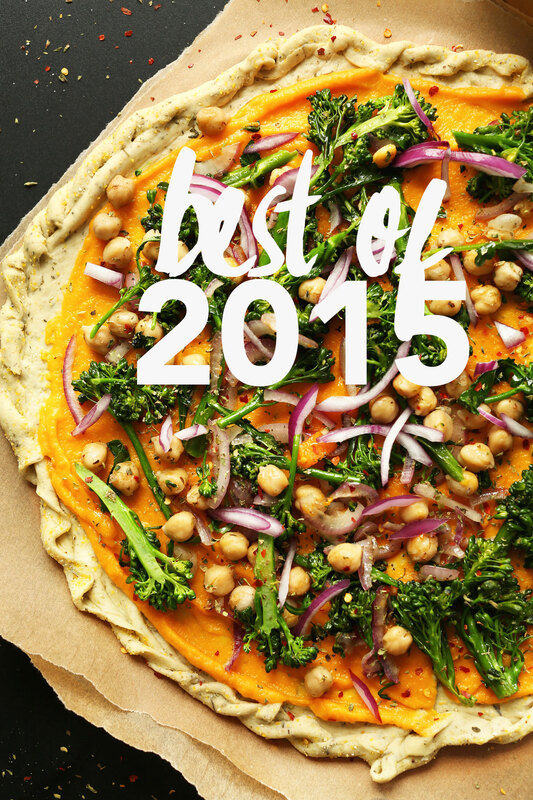 This is a little wrap-up post highlighting some of our favorite moments, recipes, and projects from 2015. Let’s jump in, starting with eats! I love that the top 10 most popular recipes from the blog in 2015 were a mix of savory and sweet! This is a baking blog so desserts are a given, but I love that you all enjoy seeing plant-based entrées as well. More of both to come. Cookbook – We made a print cookbook, and we’re so excited to be publishing it with Avery-Penguin! It’s an incredibly exciting opportunity for us, and the book is now widely available to you all – both online and in stores! Pre-order NOW to guarantee shipment of your book the day of release – April 26, 2016! Food Photography School – We added an artificial lighting course to Food Photography School this year, which is now comprised of 140+ videos to help you learn food photography visually. This is the perfect time of year to master a new trade, or improve upon skills you already have. Check it out! Blogger Resources – Speaking of perfect time to start something new, there’s an entire section of Minimalist Baker dedicated to helping you blog better, and it’s all FREE! We recently reorganized the layout so it’s more intuitive and streamlined. 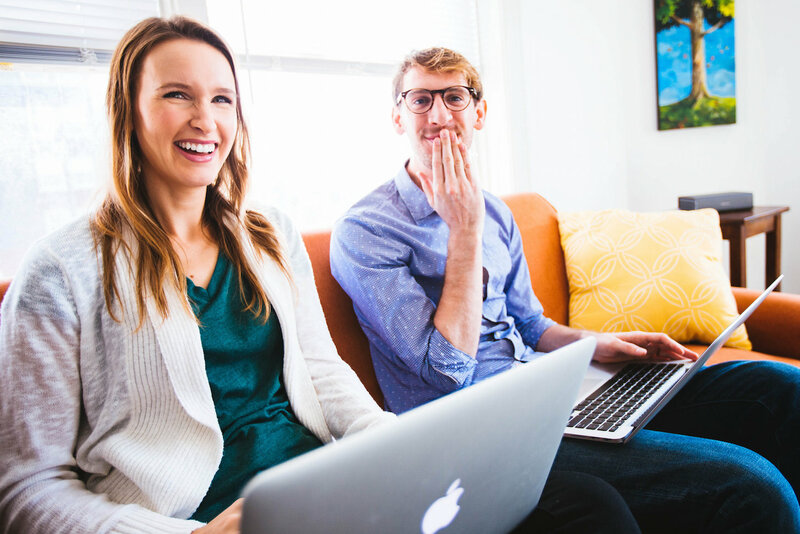 Blogging changed our lives three years ago (in case you didn’t know), and if it’s something you feel excited about exploring too, let us help. 1. Continued settling into our place in Portland, OR, after moving late last year. 2. Made several trips to Kansas for freelance photography work (wherein I ate all that pizza). 5. Rejoiced in an early spring. Fingers crossed it happens again. 6. Went to Cancun – take me back. 7. Gave you 1,000,000 behind-the-scenes sneak peeks at our PRINT COOKBOOK! 8. Made random trips to the beach, because we could. 9. Made an awful wonderful habit of eating Mexican food every Sunday for brunch. 10. Went to Healdsburg, California and tasted all the wine (the best). 11. Went to the farmers market all summer (and made #voobs with vegetables). 12. Went to Washington D.C. to visit friends (and eat all the food). 13. We went to Italy and Croatia, where John ordered 1,000 tiny cappuccinos. 14. Went to Santorini, Greece and fell in love. 15. Chopped off all my hair! 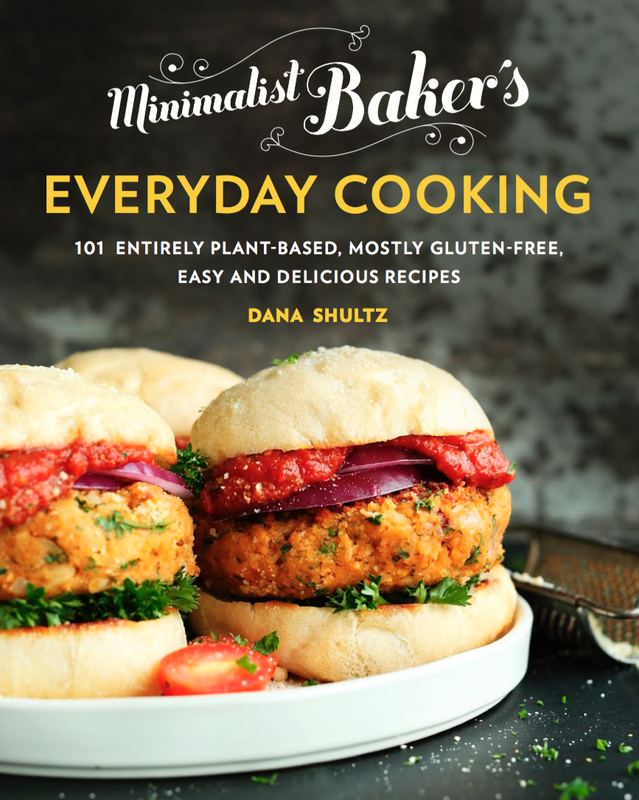 Looking ahead at the new year, we hope 2016 will be even more exciting for Minimalist Baker. Though we haven’t nailed down exact projects yet (aren’t we just full of mystery? ), we do want to share a sneak peek at what we’re looking forward to in the coming year. The Blog – Expect to see more of what you already do on the blog, only better. In 2016, we aim to continually improve Minimalist Baker, in reader experience, site functionality, recipe quality, blogger resources, and products. I’ve grown increasingly confident in our mission to share simple, plant-based (mostly gluten-free) recipes that everyone can make, and we can’t wait to share that message with even more people in 2016. And we can’t wait to bring you along for the ride. Personal – One of our primary goals is to travel more this year, as it’s become somewhat of a rest/reward for all the hard work we do. Plus, it always inspires recipe creativity and provides cultural experiences that are simply priceless. On our list is: Iceland; Ireland; Shanghai, China; Japan; and California. As a thank you for following along and being a part of this community, in 2016 we’re giving away one secret, bonus recipe every month to email subscribers! Not only do you receive our FREE 15-recipe Detox Guide when you sign up for our email list, but you also now get exclusive content sent straight to your inbox every month – recipes you won’t find anywhere else. Don’t miss out on 12 FREE bonus recipes next year. Sign up now! As we wrap up another year, we’re reminded once again that we couldn’t be doing any of this without you. We started this blog in 2012 with a lot of ideas and hopes, but we never dreamed it would turn into something so incredible that we love working on so much. In short, thank you for reading and supporting this blog – it has meant the absolute world to us. I am really enjoying your book and the delicious recipes (chickpea fesenjan is also a favorite!). Next ones on the list: the butternut squash garlic mac-n-cheese and the 1-bowl jumbo chocolate chip cookies! Hello, your recipes are great… I have made a few and my family can not wait for the next one. just wanted to say have been a fan for several years now and your recipes are always amazing, my hats off to you guys for picking me up when i am bored of the usual stuff. you are amazing and creative people keep it up ! You are the Chickpea Queen! I really enjoyed your blog and can’t wait for the new book! Thanks for a wonderful year of recipes! AW, happy new year, you two! Looks like you had a wonderful year and I hope 2016 brings you even more happiness & fulfillment! I just wanted to add that I love Minimalist Baker! Not only do you have so many amazing vegan recipes, but your website and photography are beautiful. I love pretty things and lovely photos (and vegan food), so the combination is spot on. It is rare to find great and healthy vegan recipes that are presented in such a beautiful way. Thank you for that. Cheers to 2016 and lots more vegan love! Hey guys! I just wanna say that I love your blog, your recipes and everything around it. You helped me to make so delicious food in very easy way. And it’s vegan, I always wanted to go that route 100%, not there yet but on my way :) Keep up good work! Cheers from Poland! Dana, thanks for making plant-based eating SO approachable!! You’ve made my vegan transition incredibly FUN and absolutely delicious! I love pointing my friends and family to your blog and recipes as they truly are a testament to how accessible this lifestyle can be :) P.S. the boyfriend and I made the bbq jackfruit sandwich a couple nights ago and it could have fooled anyone that it was actually pulled pork! We loved it and it made an entire afternoon of trips to SIX different Asian markets in central Ohio totally worth it! Apparently jackfruit in brine is much more popular here haha. I feel much more cultured now ;) Can’t wait for the cookbook! We all adore your dedication! I found your blog at the very beginning of 2015 and what a journey it’s been! You changed my outlook, my eating habits, and made me a more adventurous cook! Thank you so much for all of your recipes, the wonderful e-books and the personality you bring to your posts. I always enjoy receiving new recipe emails and I’m patiently awaiting the print cookbook now too! Happy New Year and I wish you all the success for 2016! I can’t wait till your cookbook comes out!!!! Because more of your recipes is always a bonus! I was very curious about the photo you’ve used at the start of the article. I can’t find it mentioned anywhere within the article itself. congrats… when i first transitioned to vegan, your cashew parmesan really saved my life!! Whoop! Love to hear it! Congrats on a great year! I’m looking forward to seeing what you produce in 2016! Dana and John, I am so grateful to have discovered your blog and your healthy, satisfying recipes. It is so easy to follow your instructions the way you have formatted it. Few ingredients a list of adjectives to entice and I am hooked! I have made the Thanksgiving wraps numerous times and the garlic flat breads are requested several times a week. I am grateful. You are my “go to” for any occassion. Tonight tumeric chick pea fritters. Preparing for company….that is how much I trust YOU. 2015 marks gratitude! Thanks. You had a very busy and eventful year, congrats on eveything you achieved and here’s to you having a very successful, fun and memorable 2016 as well! Love this wrap up, and I can’t believe it’s been only three years! Looking forward to the New Year and all the adventures it will bring for you! Congrats on your continued success! If you do come to Shanghai and need some recs let me know – I live here now and love it!!! Please, share away! We’d love to know. Ahhhhhhhhh Dana and John! I cannot wait for 2016! It’s been such an incredible year for you guys. Congratulations on the book and everything you’ve accomplished! Happy New Year! So proud of all our accomplishments! Come see us some day!! Thanks for a good and delicous blog. Good to Iceland on your list, I’m Icelandic. Ooh, any eating/site-seeing tips? Thanks Edda! For activities it really depends what time of year you go and what you like to do, how much time you have etc. If you are into the northern lights you can catch them at this time of year. It’s cool to go in the summer cause there is 24 hour daylight. I cannot wait for you book! This just reminded me how excellent your butternut squash pizza was. Thanks for all of the great recipes this year! Your blog is easily my favorite blog on the planet and I can honestly say that out of the many many recipes I’ve tried from your site, not one has ever let me down! 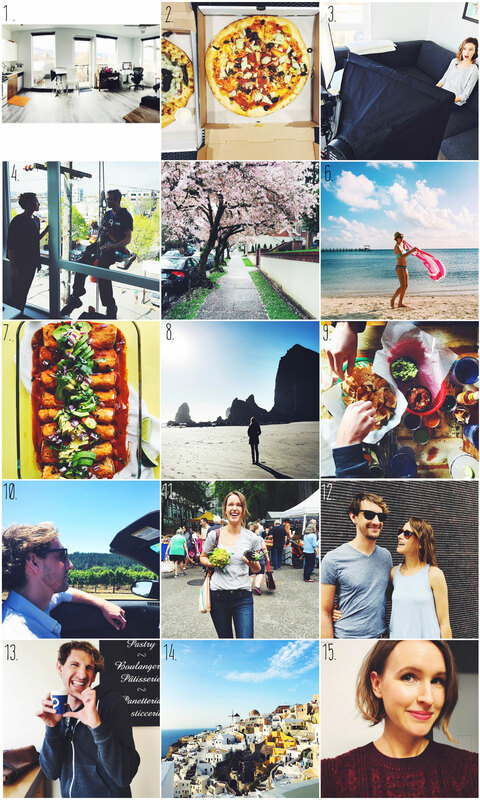 Here’s to another amazing year full of great food and great adventures! Love it! What an amazing year! I especially love the vegetable voobs :) Thank you for such a great blog. I have decided that I have put off my blog long enough, this year is the year to bring it to life!! I will be frantically viewing all of John’s tutorials!! Happy New Year!! Dana and John, your year sounded incredible! I started reading your blog this year and every since the first post I read, I was so inspired. Have a great 2016! What a great year! I’ve got to ask — what is the recipe in the very first photo (looks like maybe a flatbread with sweet potato and broccoli)? I need to make that! If you need any tips for Shanghai, I lived there for 4 years & would be glad to help. What an incredible year for you guys! I seriously can’t wait to see what’s in store for you two and the blog in the new year! I suspect many very amazing things. Happy new year!! I don’t know why it took me so long to discover your blog, but what a perfect time! I made the Eggplant Lasagna rolls for a pot luck. I was asked twice for the recipe, and my husband heard four others commenting on how awesome they were. Then, I made the spaghetti squash bake for Christmas, and my family loved it. Soooo delish. I can’t wait to get cooking with your recipes in 2016. Minimalist Baker is definitely my go-to site now. Thank you! So great! Glad everyone enjoyed them. Thanks for the love + support, Chrystal! I found your blog by accident a few weeks ago and I’m glad I did. What a fantastic array of recipes that use easy to buy ingredients. I’ve been a non-meat eater for 20 years and have become increasingly interested in veganism for its health and environmental benefits. Your recipes make the transition so much easier. I have your book on preorder and can’t wait to receive it. I will be following your blog next year. Happy New Year! 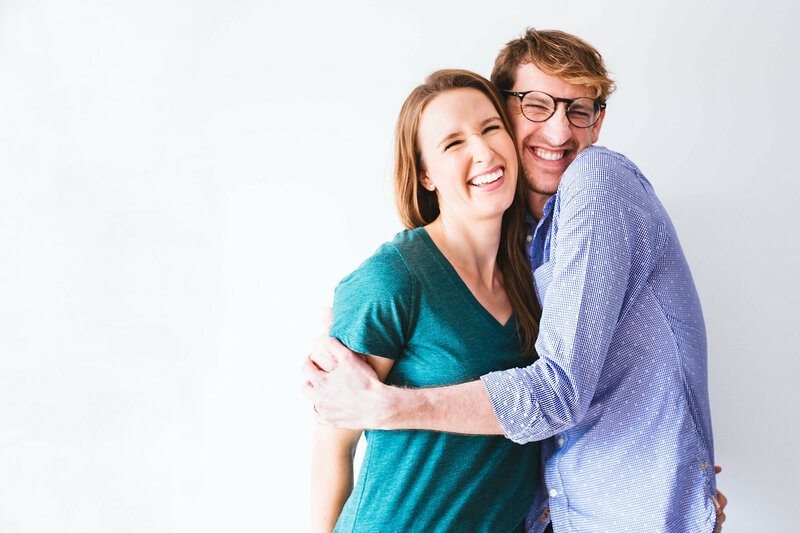 So glad to hear our blog has been a resource and inspiration to you in your dietary journey! Thanks for the love + support, Lisa! So kind! Thanks for the love and encouragement, Charlie! It means so much. Happy New Year to you as well! What a fabulous year you’ve had and the next one sounds even better. Wishing you both the best of success. Can’t wait for spring to get my new cookbook. Dana, you don’t know me and we may never meet, but you are my new best friend. Just ask all my family and coworkers! I haven’t made a Minimalist Baker recipe yet that wasn’t out of this world and I’m making something more often than not. Today I’m making the Simple Chickpea Bolognese and I’m whipping up my first batch of ice cream, in my new ice cream maker, to take to friends. I blame this purchase completely on you. Thanks for EVERYTHING.